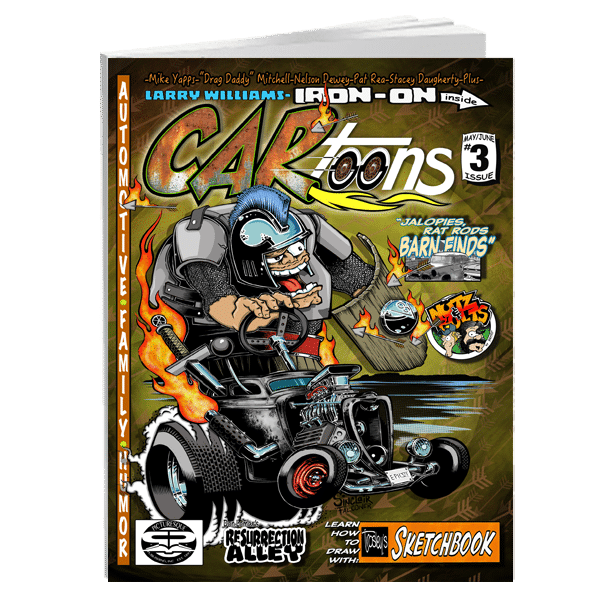 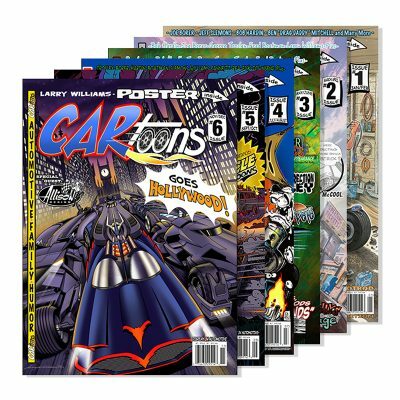 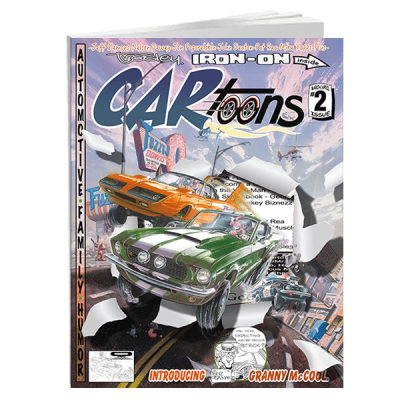 Order your copy of the #3 Iron-on Edition Issue of the newly revived CARtoons Magazine now! 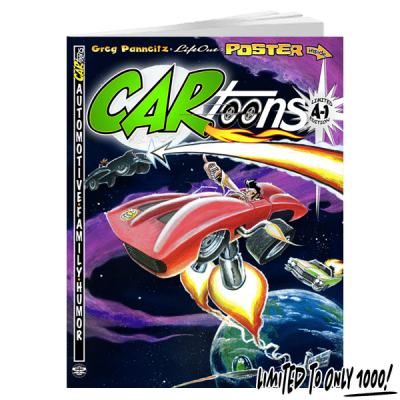 Limited to only 3500 copies! 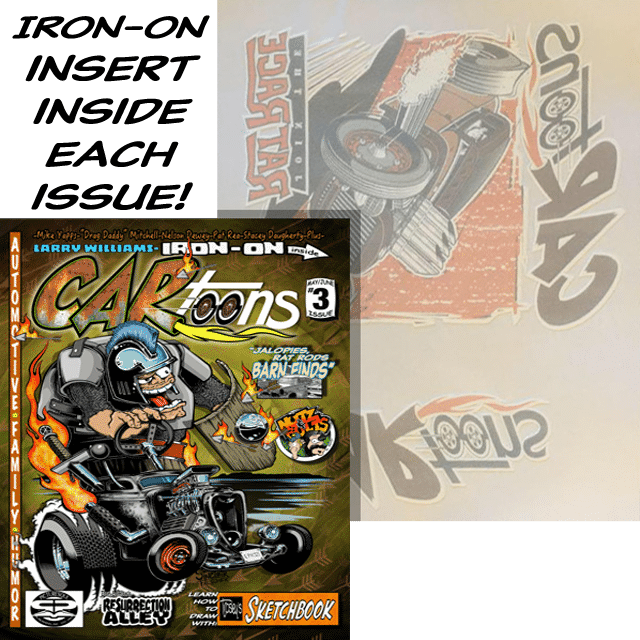 This Edition includes the exclusive Iron-on insert! 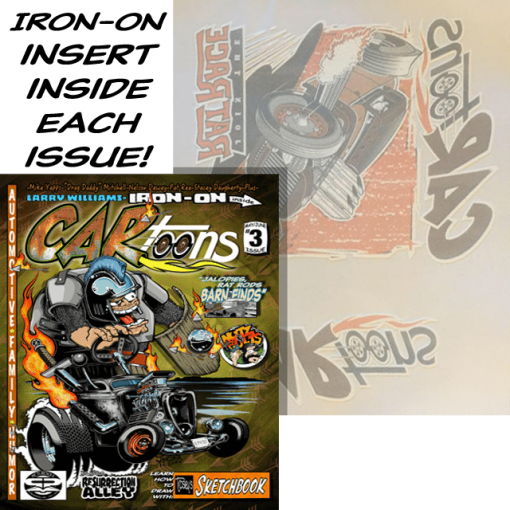 (Artwork by Larry Williams) A high quality Iron-on that allows you to apply to dark clothing including Black! 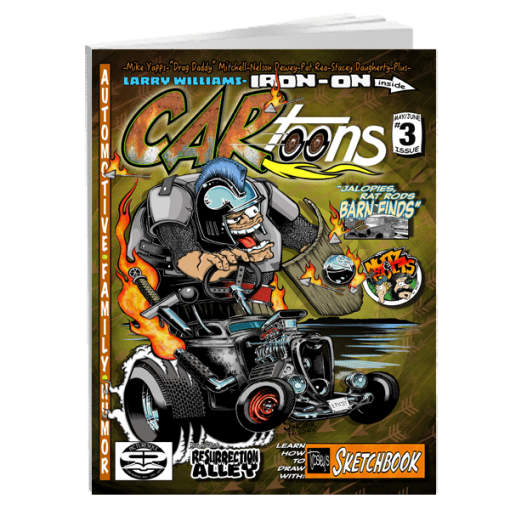 Special Guest Artist: Barber Dave from Discovery Channels “Vegas Rat Rods”.